Independent book publishers know that, despite the familiar expression, books are judged by their covers – as well as their interiors, and just about everything else. Author Kwame Alexander, recipient of the coveted John Newbery Medal, knows a thing or two about reaching an audience—he has sold nearly a million independently published poetry books. Responding to a question that followed his keynote address at the 2016 IBPA Publishing University, Alexander noted that award recognition begins with one simple accomplishment: Make sure your book looks like everyone else’s. In other words, a book must first distinguish itself through a design that screams professional. “Professional design tends to follow the Duchess of Windsor rule: To avoid overdressing, take one thing off before you leave the house,” says Valerie Andrews, an assistant professor at Loyola University, who has judged several communications and book award contests, including the IBPA Benjamin Franklin Awards™. Interior layout, font choices, trim size, even binding and paper stock—all of these contribute to the overall design of a book. But before readers can appreciate these, they must be drawn to the cover. 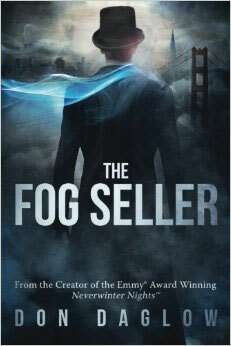 “Cutting corners on your cover is one of the worst places to try to save money,” says Don Daglow, founder of Sausalito Media, whose cover for The Fog Seller took top honors in cover design, small format category, of the 2016 Benjamin Franklin Book Awards. Andrews agrees that the best covers are those that make good use of color and visuals to convey the tone of the book. When judging, she also looks for covers that reflect a book’s topic and target audience. Tone, topic, and audience were key considerations for New York City Publishing Company publisher Hanoch Teller as he fashioned the cover for Heroic Children, winner of the 2016 Benjamin Franklin Book Award for cover design, small format nonfiction. 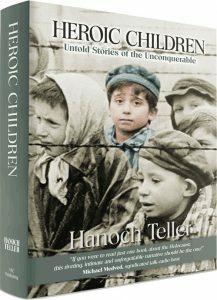 The aim of the book, which Teller researched for 14 years, was to tell the personal stories of nine children who survived the Holocaust. “What I wanted to do in the cover was highlight one child to show it’s not just a statistic,” he explains. To accomplish this goal, he worked with graphic designer Jeremy Staimen. To achieve a tone appropriate for the somber topic and to illustrate that the book highlights individual stories, they decided to use a sepia-toned photo and to use color to highlight a single child. Faced with a “draconian deadline” from his printer, Teller and his team—his own children—combed through archival photos until they found the perfect image, held by the US Holocaust Museum in Washington, D.C. The process of securing permissions took the cover project down to the wire. Through a chance connection with a museum board member, Teller obtained a general release in record time, but there was a caveat: No alterations could be made to the image without permission from the individual he wanted to highlight with color. The museum offered no contact information for this person, and with less than two hours to press time, Teller had to shift into high gear, using his research skills to track down a possible surname for the individual and make an educated guess at his first name and location. Twenty-four minutes to press queue, Teller had his permission—and a great story for the afterword of the book. The award-winning cover has definitely boosted sales, Teller says. The key to a great cover, he adds, is that it resonates with the audience and the content. “If you have a great cover and it doesn’t speak to [an] audience, you’ve missed the mark,” he explains. “It must also speak to the subject. In designing a winning cover, images are a major concern, but other elements factor in, as well. “I want [the] title to be well-placed, as well as the author’s name,” Andrews says. In addition, she advises publishers to pay attention to the back of the book, too. Behind every great cover, there’s a great designer. There’s also a budget—not always as large as a publisher might want—as well as the keen eyes that evaluate the results. Like Porter, Jon Wilson of Fish Out of Water Books always hires a designer for his covers. 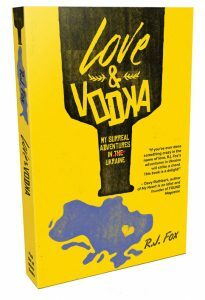 “This is most definitely not an area to skimp or rush,” he says, noting that he learned this from attempting to self-design the cover of his debut release, Love & Vodka: My Surreal Adventures in Ukraine. After several months and various renderings, he opted for professional assistance and couldn’t be more pleased with the results. “The bright yellow background instantly attracts readers in a crowded bookstore or as a thumbnail image in a list of search results online,” Wilson explains. “The fonts are original and playful, suggesting playfulness and humor, of which the book contains plenty.” Subtle but crucial design elements, including a liquid “splodge” representing the map of Ukraine, work almost subconsciously to deliver a strong message, he says, while the use of negative space allows the overall design to breathe. Successful covers don’t come cheap, however. “Our first attempt at finding freelancers resulted in sticker shock when some of the top designers quoted us $1,200 for a cover,” says Tricia Reeks, editor-in-chief at Meerkat Press. “Their work was fabulous, but as a new press, we simply didn’t have that in our budget. We’ve now found several resources who do superb work and also fall in a range we can afford.” As Meerkat has grown, Reeks now assigns some projects in-house, relying on Adobe products and a subscription to Adobe Stock for photos. One disadvantage to stock photos is that the same images tend to appear again and again. “I don’t mind using stock photography when necessary, or as elements of the design, but, if possible, I like to use a photographer to get a unique cover shot,” Porter says. As with her designer, networking led her to a photographer who’s a great fit for the press. Crucial as the cover may be, it’s the interior design—along with the content, of course—that fulfills the promise of the book. As a starting point for design, Andrews suggests browsing the shelves of libraries and bookstores, looking for what catches the eye. “If you pick up 20 books,” she says, “what do their designs have in common?” She also advises publishers to peruse the results of design competitions, noting features that winning books have in common. One of those winners is Kathryn Troutman’s Creating Your First Resume, which took top honors in the 1-2 Color Interior Design category of the 2016 Benjamin Franklin Book Awards. Because the book emphasizes the importance of design in the preparation of resumes, Troutman says its appearance is especially important. Whether the end product is a resume or a book, Troutman notes that it’s a combination of content and appearance that generates results. For the font, she used one of her favorite sans serif options, Bertold Akzidenz Grotesk. “It not only looks clean and modern, but also all of the different variations of this font look great, so there is a lot of flexibility with this one font,” Chen says. For the header/accent font, KTF Roadstar proved a fun, readable choice. Fortunately, the road to a winning design isn’t all that difficult, as award-winner Daglow points out. “Give yourself lots of lead time, so you never have to rush to a decision,” he advises. “Invite multiple designers to discuss the project initially, so you get a feel for both how well they respond to the theme and how professional and responsive they are to work with.” Give clear feedback to your designers, he adds, and don’t sign off on anything until you’re proud of it. Like the proverbial glass slipper, design is all about achieving the right fit. Once you’ve landed on it, there’s a good chance your book will live happily ever after. 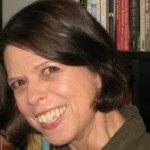 Deb Vanasse is co-founder of 49 Writers and founder of the author co-op Running Fox Books, She is the author of 17 books. Among her most recent are Write Your Best Book, a practical guide to writing books that rise above the rest, and What Every Author Should Know, a comprehensive guide to book publishing and promotion, as well as Wealth Woman: Kate Carmack and the Klondike Race for Gold.